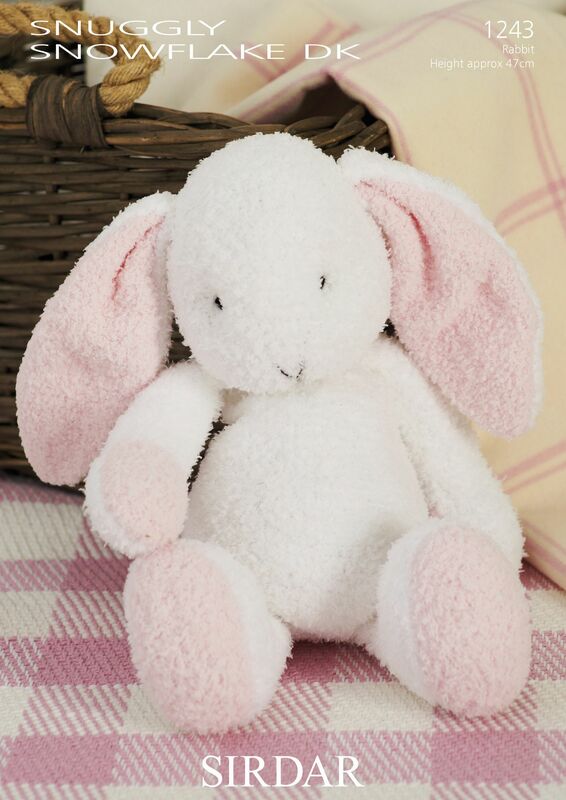 Flopsy the Bunny, designed by Debi Birkin, knitted in Snowflake DK. Please note Angel Pink (649) has been discontinued, please select an alternative. Oddments of Bonus DK in Black required for facial features.